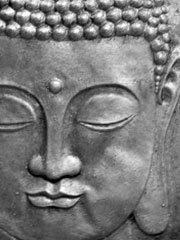 Divisions among the early Buddhist schools came about due to doctrinal or practical differences in the views of the Buddhist Sangha following the death of the Buddha. The first division occurred around 100 years after the death of the Buddha, and resulted in the Sthaviravādin and Mahāsanghaka schools. Opinions differ on the cause of the split with the Sthaviravādins recording that the other party were lax monks who had ceased to follow all the Vinaya rules. The Mahāsanghikas, however, pointed to the Sthaviravādin wishing to add more rules to the Vinaya. Following the first division, the Mahāsanghikas split into several sub-schools of minor importance. The Sthaviravādin School had, by the time of King Ashoka divided into three sub-schools. It was regrouped during the Third Council under the name of Vibhajjavdins, but later it reverted back to its old name in the Pali language as Theravada. The Sammitīya School later became known as the Pudgalavādin but died out around the 9th or 10th century CE. The Sarvāstivādin school was most prominent in the northwest of India and provided some of the doctrines that would later be adopted by the Mahāyana. It split into two major sub-sects, the Vaibhāsika and Sautrāntika Schools. Although some texts mention eighteen schools in India, by the time the Chinese Pilgrims Xuanzang and Yi Jing visited India in the medieval period there were five that they mention far more frequently than others. The Theravāda School of Sri Lanka, Burma, and Thailand is descended from the Sthaviravādin School. Some remnants of other early schools do still exist: the schools of Tibetan Buddhism still use a Sarvāstivāda vinaya, and Chinese schools use one from the Dharmagupta school. Fragments of the canon of texts from these schools also survive such as the Mahavastu of the Mahāsānghika School.